Notes from the Cuban Exile Quarter: Women's Movement launches campaign "Iván Fernández Depestre is innocent, free him now." Women's Movement launches campaign "Iván Fernández Depestre is innocent, free him now." On March 7, 2014 over twitter the the "Rosa Parks Women's Movement for Civil Rights" launched an effort to obtain the freedom of a Cuban activist imprisoned on July 30, 2013 and recognized by Amnesty International as a prisoner of conscience. His name is Iván Fernández Depestre. 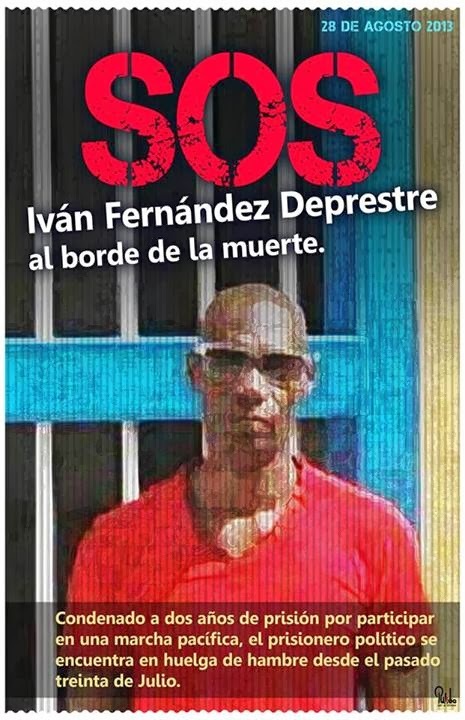 First heard of Iván Fernández Depestre in August of 2013 when I learned that he was on hunger strike protesting his unjust imprisonment. Iván Fernández Depestre is a Cuban national of 42 years of age born on October 28, 1971 with identity card number: 71102805363 who lives in the interior of Cuba in Placetas, Villa Clara province. On the afternoon of July 30, 2013 Iván together with other nonviolent opposition activists Loreto Hernández García, Yuniel Santana Hernández, along with Yaite Diasnelli Cruz Sosa, Xiomara Martin Jiménez and Donaida Pérez Paseiros carried out a march in memory of the Cuban martyr Frank País, who was killed in the struggle against Fulgencio Batista (the prior dictator to the Castro brothers). He was tried on August 2, 2013 in a secret, closed door and summary trial in Placetas, Villa Clara and condemned to 2 years in prison for "pre-crime social dangerousness." Prior to his arrest, he appeared in a video stating: I want change. I cooperate with the resistance. Cuban changes if you want it to." On September 11, 2013 Amnesty International recognized Iván Fernández Depestre as a prisoner of conscience. 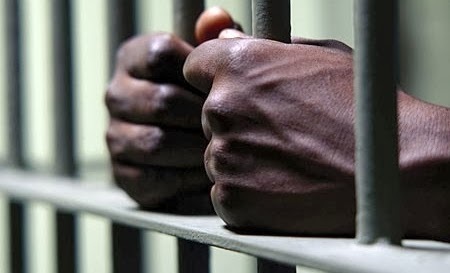 He remains unjustly imprisoned today and he is not the only one. Help spread the word about his plight and help to obtain his freedom.